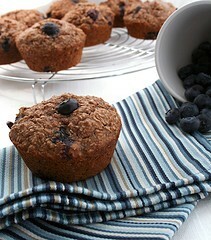 Have you made Buttermilk-Bran & Blueberry Muffins? 1. 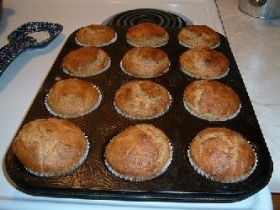 In large mixing bowl, mix together bran, flour, sugar, baking powder and baking soda. 2. In another bowl, combine eggs, buttermilk, oil and molasses; pour into bran mixture and stir just enough to moisten. 3. Do not over mix. 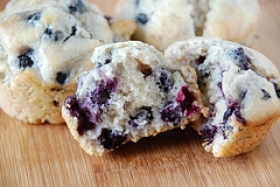 Fold in blueberries (do not thaw if frozen). 4. 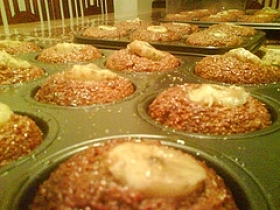 Spoon into nonstick or paper-lined large muffin tins filling almost to top. 5. 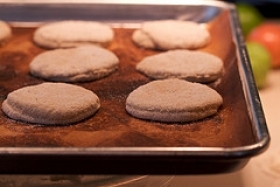 Bake at 375 F for about 25 min or until firm to touch. 6. 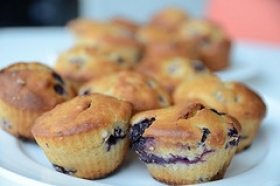 Remove from oven and let stand for 2 min before removing muffins from tin. Appears to be 2 cups of blueberries. 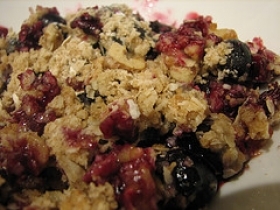 one key ingredient missing in the recipe is the BLUEBERRIES...what is the quantity??? 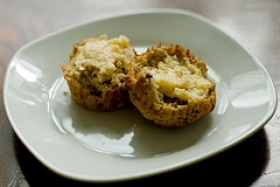 This recipe contains potential food allergens and will effect people with Wheat, Egg, Milk, Butter, Gluten, Sulfites, Natural Sweeteners allergies.